Planning to Travel? Get Insured First, as availing Travel Insurance Services will set you free from the worries of unfortunate happenings. This is one service that can take care of all your problems on a foreign land. So avail it today from HOTEL SHRI SAI MURLI, which also operates as a travel insurance agent. We are the best in the industry serving clients with effortless services. 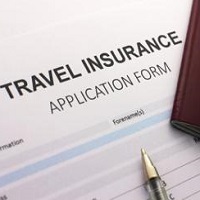 We are supported with skilled members, who arrange for you the beneficial plans of Travel Insurance Services. Also, they are efficient in managing the documentation and all legal formalities.